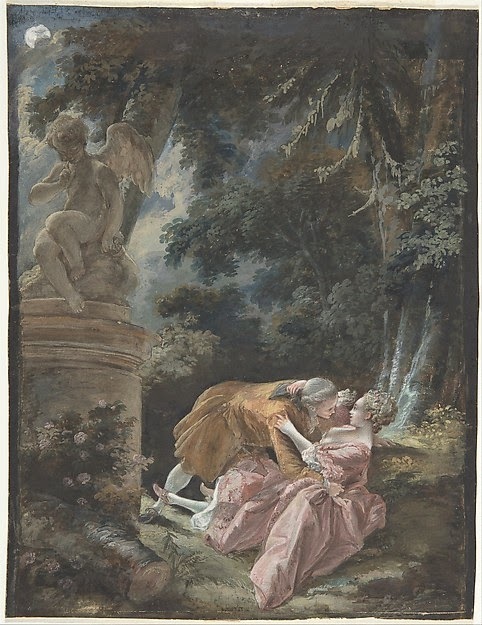 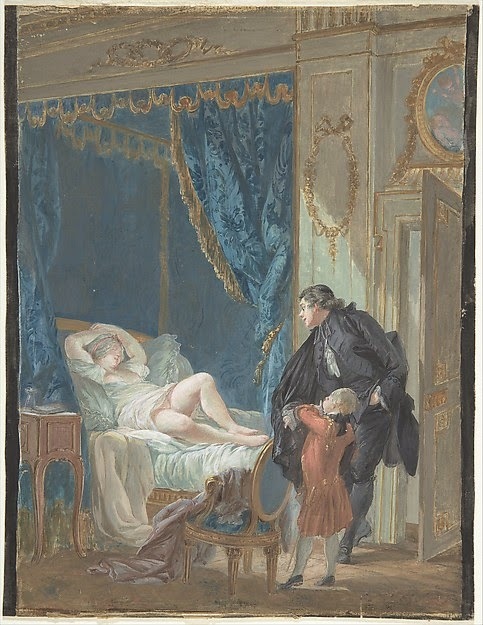 In the second the drift of the nocturnal action is obvious.The statue is Falconnet's L’Amour Menaçant, now in the Louvre but which once belonged to Madame de Pompadour. 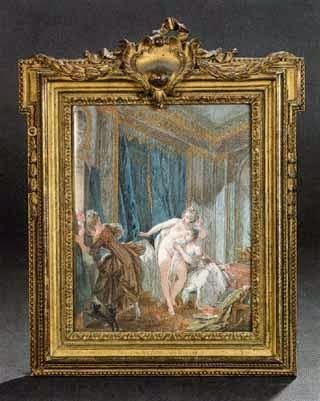 It also features, equally conspiratorially, in Fragonard's The Swing. 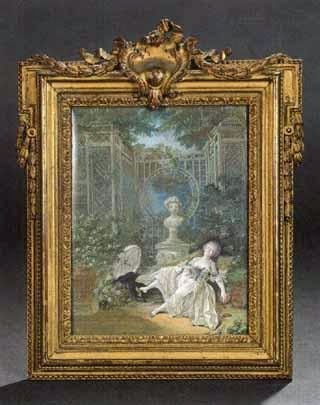 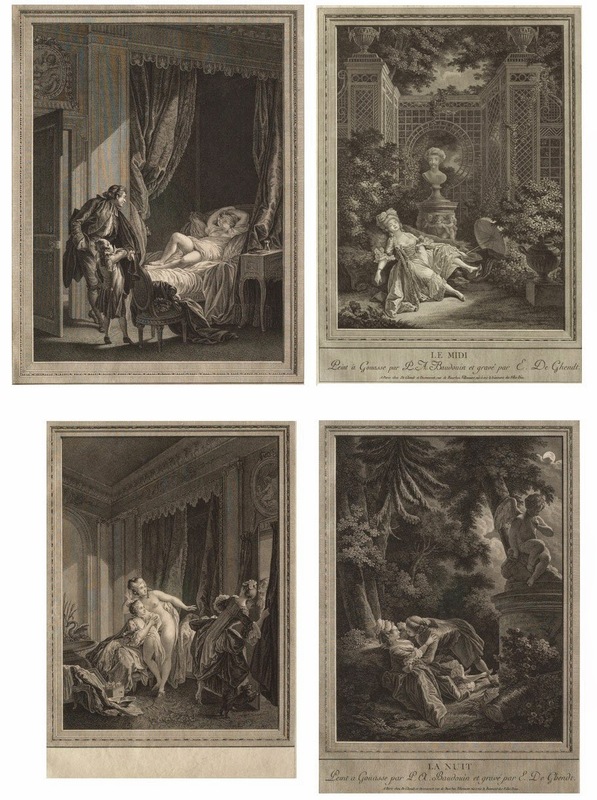 Versions of the two companion pieces, Midday and Evening, from the Collection of the industrialist and philanthropist Maurice Fenaille, were sold by Brisonneau and Daguerre in 2006:.